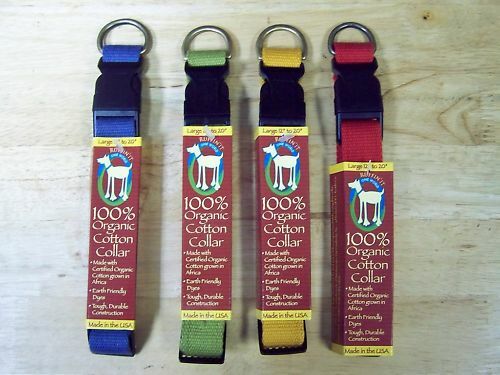 100% Organic Cotton Large Dog Collar:12" - 20" long. Made from Earth Friendly Dyes. Tough, Durable Construction.